Old map by BUREAU OF CURRENT AFFAIRS. - Map Review No.17. Eastwood Outlook. Publisher: BUREAU OF CURRENT AFFAIRS. Title: Map Review No.17. Eastwood Outlook. Size: 29.1 x 38.8 inches. Condition: In good condition, some small tears at folds. Multiple folds, margins complete. A large double sided 'current affairs' poster. One side features a eastern hemisphere world map, and deals with matters arising in South East Asia, the Far East and Europe. 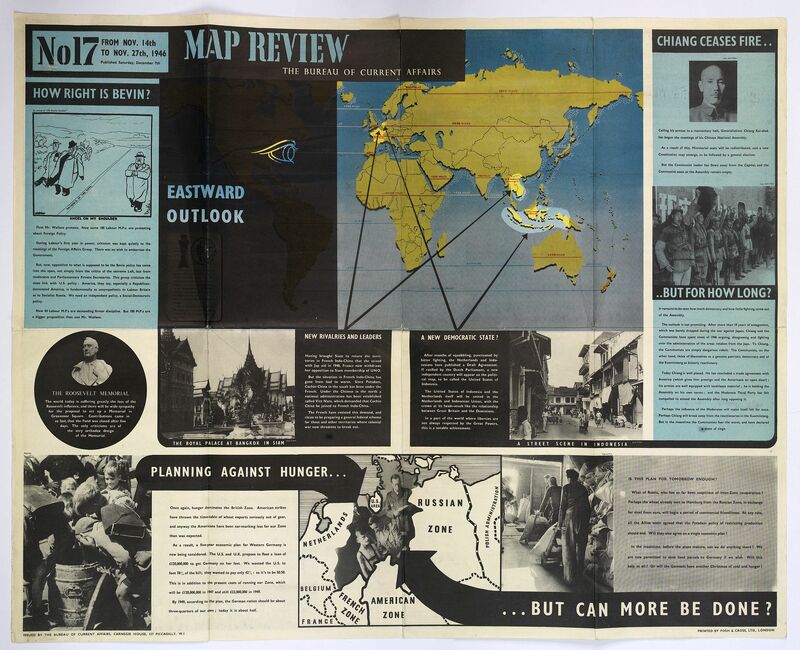 One deals with a fragile ceasefire between Chiang Kai Shek and the Communist authorities complete with photographs; another deals with British Foreign Policy immediately after war, complete with cartoon; a separate one concerns Indonesia and French Indo-China, with photographs; there is an article about the 'British Zone' and Western Germany: 'Planning against Hunger'... in Europe immediately after the war, with maps and photographs. 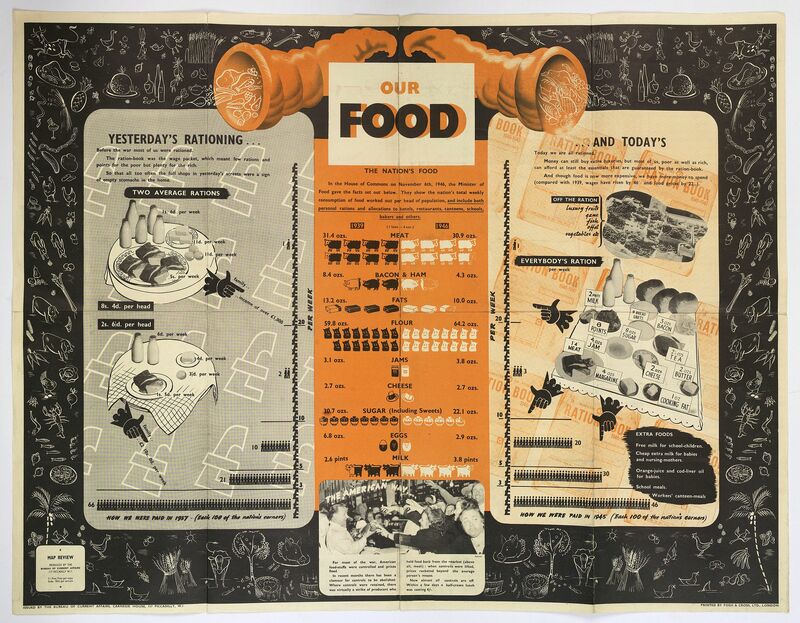 On the reverse are diagrams and photographs of 'Our Food' (Britain's Food) - primarily about war-time rationing and post-war rationing of foodstuffs, comparing one against the other. Multiple small black and white drawings of various foods surround the photographs and diagrams.